The most popular free e-Bible in the world. 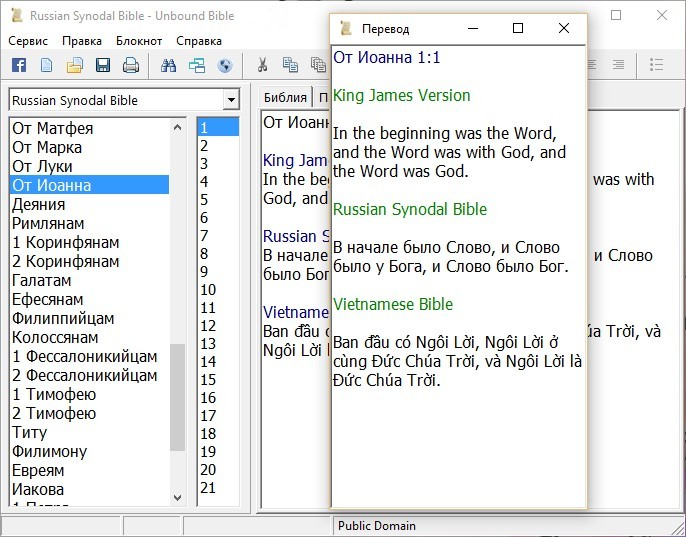 The new Testament with the Greek text UBS3/NA26 with Russian subtitles Alexei Vinokourov and Russian Synodal translation of the New Testament. 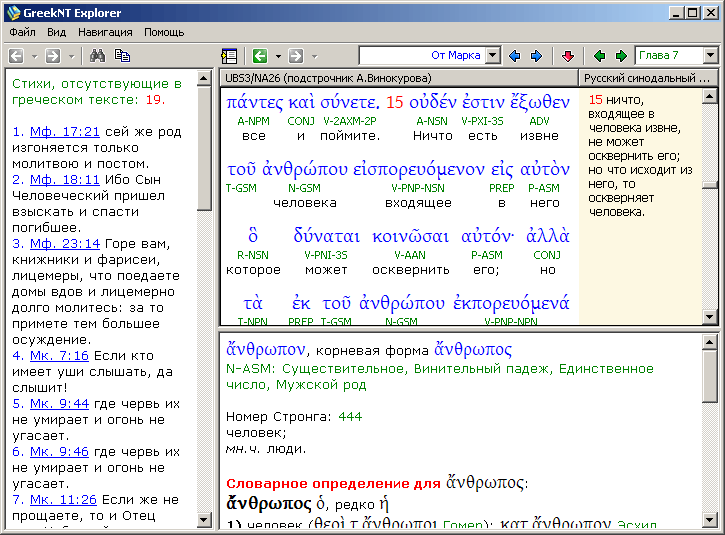 A simple program to work with the Bible, the ability to connect modules. When you close the program, change read books remembers the last read place. There is a possibility to insert bookmarks, notes, highlights. Moreover, selection may be of different colors. Customizable font size, color scheme, formatting. 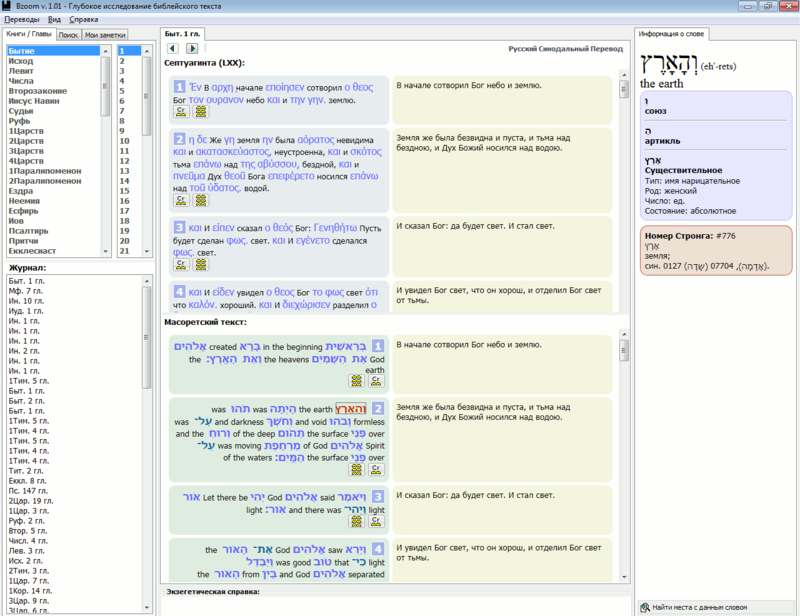 the Ability to add dictionaries, cross references, etc. Includes the old, New Testaments and non-canonical books. And finally it is absolutely free. Choose a Bible book list. Press T or 3 to go to the partition selection (old, New Testament, Non-canonical books). 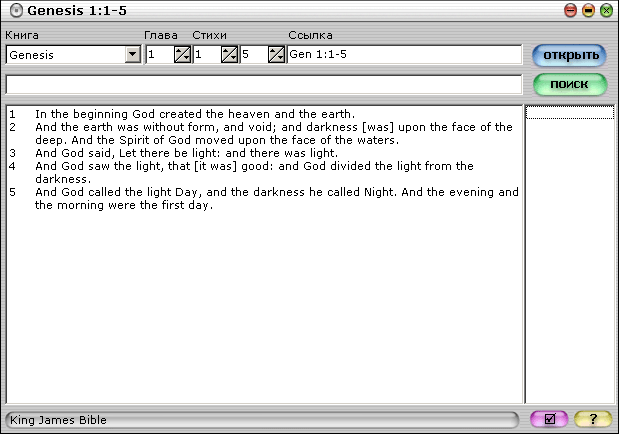 Simple program for Bible reading. That's all, even no search. 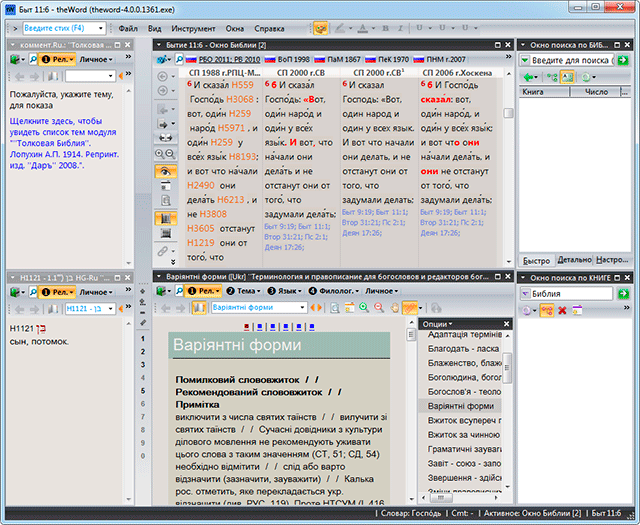 No modules, dictionaries, only one synodal Bible in Russian. Suitable for those for whom the computer is a Chinese charter. There is no easier Bible on the computer. Even installation is not required. A descriptive Bible with commentaries, footnotes, dictionaries, maps in English. Not a very large selection of modules, but there is a choice. There are well-integrated footnotes, comments, dictionaries, maps (not in all modules). 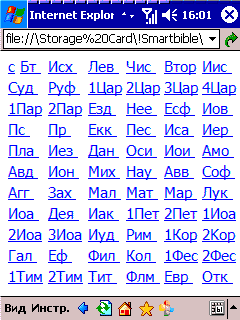 The interface is similar to this kind of program, therefore intuitive, it is not difficult to understand. In addition, it's free. 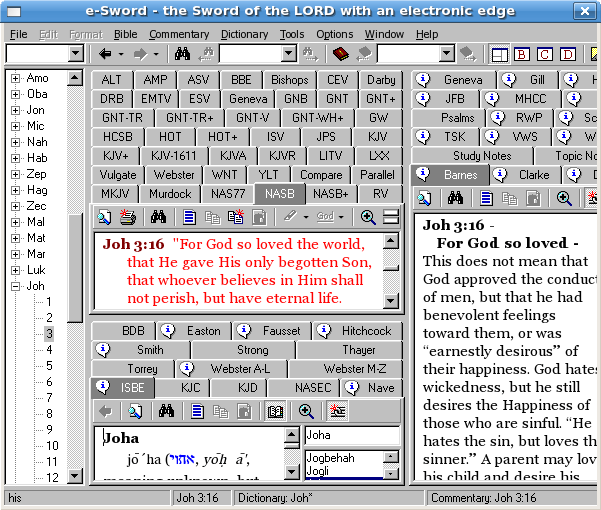 The freeware is simple and intuitive for reading the Bible. It justifies its name: it is not tied to one operating system and one type of modules.